In Belgium, interested parties file trademark registration applications with either the Benelux Office for Intellectual Property (BOIP) or the EU Intellectual Property Office. The latter has become more common practice because of the larger geographical coverage (in 28 countries) of the protection and the relatively lower costs compared to the Benelux registration, which only covers Belgium, the Netherlands and Luxembourg at a cost of one-fifth of the EU registration. The Benelux registration system remains popular nonetheless for local commerce and for expedited trademark registrations. EU and Benelux trademarks are enforced locally before local Belgian courts with exclusive jurisdiction and composed of specialised judges. The substantive law on intellectual property rights is codified under Book XI of the Belgian Code of Economic Law (CEL). Article XI.163. CEL provides that the protection of trademarks and designs is regulated in accordance with the Benelux Convention on Intellectual Property (BCIP), which has created a common legal and protective framework for trademarks and designs in Belgium, the Netherlands and Luxembourg. The BCIP established the BOIP and is subject to the interpretation of the Benelux Court of Justice. Local courts have jurisdiction in litigation related to trademarks, company names, domain names and any other sign that may be the subject of a dispute. Parties to a contract may call upon an arbitrator to decide upon a dispute related to trademarks, company names, domain names and other signs. Arbitrators may decide upon all other disputes related to the object, price and modalities of an agreement on these rights but they cannot declare a trademark invalid. However, they may hear arguments related to the invalidity. Even when no trademark registration exists, an entity may prevent others from using a particular sign in relation to goods or services that may, for example, lead to consumer confusion by presenting a claim for unfair competition or unfair commercial practices (Article VI.104. CEL). Company names are protected by Article 65 of the Belgian Company Code. The first person to use a legal name has the exclusive right to use this name throughout Belgium. If another company chooses a legal name that is identical or is so similar as to cause confusion, it may be required to change the name and pay damages to the holder of the prior legal name. Trade names are protected by Article 8 of the Paris Convention for the Protection of Industrial Property, which has direct effect in Belgium. In practice, enforcement is mainly based on Article VI.104. CEL, which prohibits unfair commercial practices. The first public user benefits from the protection of a trade name in the geographical area in which the trade name achieved a certain degree of recognition. The scope of protection of a trade name is thus entirely determined by the way in which this name is used. The more well-known a trade name is, the larger its protection. Conversely, the right to use a trade name expires once it is no longer used. Designations of origin, geographical indications and traditional speciality guarantees are governed and protected in Belgium by Article VI.124. CEL, international treaties (such as the 1883 Paris Convention on Intellectual Property, 1891 Madrid Agreement on Indications of Source, 1951 Lisbon Agreement for the Protection of Appellations of Origin and 1994 TRIPS Agreement) and EU Regulations 1151/2012/EU and 664/2014/EU. The protection of a domain name in the .be TLD or in Belgian gTLDs, such as .vlaanderen, .gent and .brussels, are protected by the applicable rules under the top level domain. Article XII.22. CEL prohibits the registration of domain names in which no right or legitimate interest can be invoked, with the intent to harm a third party or to obtain an unfair advantage, if that domain name is identical with or similar to such an extent that it may create confusion with, among other things, a trademark, a geographical indication or a designation of origin, a trade name, an original work, a business name, a personal name or the name of a geographical entity, belonging to someone else. Signs capable of graphic representation that are used to distinguish the goods or services of one undertaking from those of another and that are not devoid of any distinctive character can be protected by both EU and Benelux trademarks (Article 2.1 BCIP). Trademarks and collective marks are registered for a period of 10 years with effect from the date of filing. The registration may be renewed indefinitely for subsequent periods of 10 years (Article 2.9 BCIP). Registration of a standard application for a Benelux trademark takes approximately three months, if there are no opposition proceedings. An applicant may also opt for an accelerated procedure, which allows for registration of the trademark within a couple of days. In the event of an accelerated procedure, the assessment on absolute grounds and possible opposition will take place after the registration, which means that the registration may be cancelled on those grounds shortly after registration. As with the EU trademark registration procedure, the Benelux trademark registration procedure provides the possibility for third parties to submit a pre-grant opposition. The costs involved are set out in the table below. Before filing a trademark application, an applicant should check whether the chosen sign meets the conditions for protection (distinctive character, availability and lawfulness). Another party may already use an identical sign or prove the existence of a prior right to a similar sign. c the newer trademark can cause confusion with the opponent's well-known trademark within the meaning of Article 6 bis of the Paris Convention. 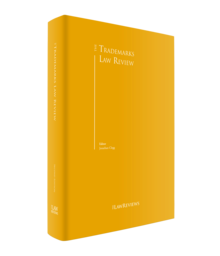 Grounds for invalidation include (1) the lack of distinctive character of the trademark and grounds similar to those for a trademark opposition; (2) registration in bad faith; and (3) the likelihood of confusion with a well-known trademark. Depending on the ground invoked, a three- or five-year time limit may apply to submit a request for invalidation. A party may invoke the revocation of the trademark as a result of it not being genuinely used for a continuous period of five years, or when it has become generic because of acts or inactivity of the holder (Article 2.26 BCIP). A party may claim for damages arising from the unlawful use or registration of a trademark (see Section IV). When confronted with a refusal during the registration procedure, an applicant will receive a notification of the intention to refuse the registration wholly or partially. Depending on the ground for refusal, the applicant will be given the opportunity to respond and amend the application. The amendments can pertain both to the sign itself and to the classes of goods or services for which registration is sought. Failure to resolve the objections to the registration results in complete or partial refusal of the registration. An applicant may lodge an appeal against the decision with the Benelux Court of Justice. Decisions on invalidity or revocation actions of national courts may be appealed before the national courts of appeal. Claims are initiated before the civil court, if the defendant is not a merchant, or before the commercial court. Courts are located in the districts of Antwerp, Ghent, Brussels, Mons and Liège. In opposition cases related to Benelux trademarks, a party may appeal the decisions of the BOIP before the Benelux Court of Justice. Except in the case of ex parte proceedings, which have an inherent surprise aspect, a claimant is expected to send a cease-and-desist letter with the aim of resolving the dispute amicably prior to initiating court proceedings. Although such an attempt to resolve disputes amicably is mandatory, in practice it proves to be impracticable and courts give little or no attention to it. When a party suspects that a counterfeit seizure is imminent, it may request to be heard by the competent judge by means of a protective letter. The aim of the letter is to prevent ex parte counterfeit seizures or to limit their effects. It is common practice to send such a letter in a sealed envelope with a request to be opened if and when an IP rights holder files a request for counterfeit seizure. The judge has no obligation to consider the protective letter. The courts' practice in considering protective letters varies across the country. When indications of an infringement or an imminent infringement exist, the holder of a prima facie valid IP right may request in ex parte proceedings the appointment of an expert to describe the alleged counterfeit and investigate its extent. If the IP infringement cannot be reasonably disputed, the judge in ex parte proceedings may, upon request and after having balanced all relevant interests, order conservative measures, which may include the seizure and withdrawal of litigious goods from distribution channels. Courts will decline jurisdiction if parties have entered into a valid arbitration agreement to resolve a contractual dispute. Ultimately, the court will reappear in the process as an arbitral award will require exequatur. All requests for exequatur are handled by the court of first instance of Brussels. Other alternatives include mediation, expert determination and expedited arbitration. Also, in the Benelux territory, a sign may not be used for purposes other than those of distinguishing the goods or services, where use of the sign without due cause would take unfair advantage of or be detrimental to the distinctive character or the repute of the trademark. The sign must not be used in the course of trade to take unfair advantage or to be detrimental. The infringement can result from use of the sign in books, news articles, media or as a trade name. For trademarks, defences include the use by a third party in the course of trade of (1) its name and address; (2) indications concerning the kind, quality, quantity, intended purpose, value, geographical origin or time of production of the goods or rendering of the service or other characteristics of the goods or services; or (3) the trademark, where it is necessary to indicate the intended purpose of a product or service, in particular as an accessory or spare part; provided that such use is made in accordance with honest practices in industrial or commercial matters (Article 2.23 BCIP). In addition, a defendant may prove the existence of a prior right to a similar sign. Proving the acquiescence of the holder of a prior trademark in the use of the sign is also a valid defence, if the prior trademark holder was aware of the use for a period of five years (Article 2.24 BCIP). 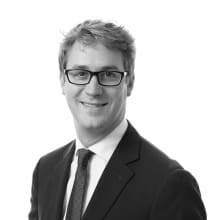 A defendant may also invoke the revocation of the trademark as a result of it not being genuinely used for a continuous period of five years, or when it has become generic because of acts or inactivity of the holder (Article 2.26 BCIP). Article VI.104. CEL prohibits acts that are contrary to honest market practices and that damage or may damage the professional interests of one or more companies. Passing off and other forms of misrepresentation are considered dishonest practices that fall under the protection of Article VI.104. CEL. A company name is used to identify a legal person. It is laid down in the company's notarial deed of incorporation. It has no marketing purpose. The first person to use a legal name has the exclusive right to use this name throughout Belgium. Another company cannot use the identical name as a company name. Also, if a used company name is so similar as to cause confusion, the company may be required to change its name. The use of an identical or similar company name and the refusal to change it may give cause to the first user to claim for damages. A trade name is used to distinguish one business from another and for marketing purposes. The first person to use a trade name in a visible, public and continuous manner will have the exclusive right to use that name. Therefore, no registration is required to acquire that right. However, any proof of the date of earlier use may be helpful to resolve disputes with other parties claiming similar rights. The trade name holder will only be successful in prohibiting others from using an identical or similar name that could cause confusion with the trade name within the geographical region (local, more regional or countrywide) and range of activities where the holder uses said trade name. A more well-known trade name will benefit from a larger protection. A claimant may bring a .be domain name case to a competent court or CEPANI. The former may be based on Article XII.22. CEL (domain name Act) or on general rules of trademark law and market practices. The latter will be based on the domain name system DNS Belgium registration conditions and the ADR rules as applied by CEPANI. A claimant may bring a .vlaanderen, .brussels, .com or other gTLD domain name case to a competent court or an ICANN-approved UDRP provider. The former may be based on Article XII.22. if the domain name holder is a resident or is established in Belgium. Court action (against a resident or a non-resident) may be based on general rules of trademark law and market practices. The latter will be based on the DNS Belgium registration conditions and the ADR rules of an ICANN approved UDRP provider. The Belgian Judicial Code does not provide for an Anglo-Saxon system of discovery. Both the claimant and the defendant must cooperate in the production of evidence. Courts may order injunctions to that effect and order financial penalties to compel parties to cooperate. However, there is no mandatory obligation for a party to disclose information that may jeopardise its own position. In their submissions, parties must discuss the evidence they submitted. Courts freely assess evidence submitted by parties. Written documents – especially if agreed or approved by both parties – will be given more weight than oral declarations. The Belgian Judicial Code does not provide for a system of examination or cross-examination of parties and their witnesses, although a judge may order a call for witnesses; however, this is done extremely rarely. Parties are usually represented by professional practitioners, members of the bar. Parties rarely appear in person, unrepresented. Courts will, however, hear an unrepresented party. Costs of proceedings before civil and commercial courts include the bailiff's cost for serving the writ and enrolling the case with the court's docket. The losing party will be ordered to pay the winning party's legal fees through the payment of a flat-rate amount fixed in a royal decree. These amounts are generally considered to be unrealistically low. Judgments must first be served by a bailiff on the party against whom enforcement is sought. The costs are dependent on the length of the judgment and usually vary between €200 and €400. If a judgment is not complied with voluntarily, the creditor may proceed to the seizure of assets. These will be sold and the proceeds will ultimately be handed over to the creditor. Should the creditor face opposition by the debtor, additional court proceedings will generate new costs. In the United Video Properties v. Telenet case,8 the CJEU confirmed that the losing party should pay reasonable and proportionate legal fees as required by Article 14 of IP Enforcement Directive 2004/48. On 8 May 2017, the Antwerp Court of Appeal issued the most recent Belgian decision on this subject and ordered the losing party to reimburse expert costs. However, the Court refrained from ordering the payment of legal fees exceeding the maximum amount provided for by royal decree. The Court decided that it is not allowed to rule contra legem. The Court refused to apply what is generally considered to be the core of Article 14 of the IP Enforcement Directive (i.e., the prevailing party should be reimbursed a reasonable and equitable part of its lawyers' fees). 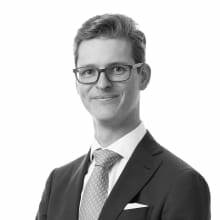 Except in the case where a bilateral agreement provides for an exemption, a defendant may ask the court to order a foreign national plaintiff or intervening party to pay a guarantee as security for the defendant's costs and possible damages (cautio judicatum solvi). First instance proceedings on the merits before civil and commercial courts last between six and 12 months. Appeal proceedings on the merits may last 12 months or longer. Injunction proceedings last two to four months in the first instance as well as on appeal. The duration of arbitration proceedings very much depends on the nature and complexity of the case. The local arbitration centre tends to incite the arbitrators to conduct the arbitration with respect for the applicable rules and time frame. Domain name ADR proceedings usually last no longer than 75 days. The following are the most common forms of interim relief and measures that an IP right holder may seek from the court. Counterfeit seizure: when indications of an infringement or an imminent infringement exist, the holder of a prima facie valid trademark may request in ex parte proceedings the appointment of an expert to describe the alleged counterfeit and investigate its extent. If the trademark infringement cannot be reasonably disputed, the judge in ex parte proceedings may, upon request and after having balanced all relevant interests, order conservative measures, which may include the seizure and withdrawal of litigious goods from distribution channels. Investigative or conservative measures: trademark holders can also request investigative or conservative measures in proceedings inter partes. They may do so at any stage of the proceedings by means of a preliminary injunction, and may request penalties in the case of non-compliance with the interim order. Declaratory relief: trademark holders may request a declaration of validity of their trademark right and a declaration that their trademark right has been infringed. Such a declaration may be ordered in conjunction with injunctive relief or when awarding damages. Injunctive relief: prohibiting further infringing activity by the infringer for the duration of the right. Damages: as compensation for the losses caused by the infringement and for lost profits. Destruction of infringing goods, at the expense of the infringer. Withdrawal of the infringing products from distribution channels. Order for publication: the court may order a party to publicise the outcome of a case, at its own cost, in one or more journals. Infringements are sanctioned by the Criminal Code and Book XV of the Code of Economic Law, which provides for six levels of sanctions. Most are of a financial nature starting from between €26 and €5,000 at the first level, and between €500 and €100,000 or imprisonment for one to five years for knowingly infringing IP rights. These are historical amounts and must currently be multiplied by eight to reflect the current level of sanctions. Criminal proceedings are initiated at the initiative of an interested party claiming compensation for damage suffered, or by the public prosecutor. 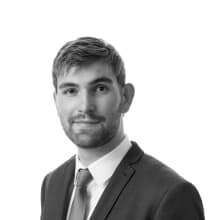 Criminal proceedings suspend civil proceedings – apart from requests for injunctive relief – and are conducted under the control of the public prosecutor. In practice, that is why they are initiated only by the claimant who has no information as to the identity of the infringer or in the context of a larger criminal investigation. The criminal courts may impose a variety of other sanctions that can also be ordered by civil courts, such as seizure or forfeiture and destruction of the infringing goods (whoever is the owner), total or partial closure of the establishment operated by the convicted person, and temporary or permanent disqualification of the infringer from commercial activities. Pursuant to EU Regulation 608/2013/EU, the Belgian customs authorities may, at their own initiative or at the request of the right holder, detain goods at the border suspected of infringing intellectual property rights. Right holders or other entitled persons (such as licensees) may file a customs application with the Belgian customs authorities to prevent the importation of infringing goods into Belgian territory. The customs authorities are authorised to act when counterfeit or pirated goods are being imported, exported or re-exported on Belgian territory. Customs authorities can take provisional and preventive measures by suspending the release or detaining the goods suspected of infringing an intellectual property right. Afterwards, the right holder has the right to inspect and sample the goods to confirm the infringement. The right holder is then required to initiate proceedings to determine whether an intellectual property right has been infringed within 10 working days (or three working days in the case of perishable goods). If the Belgian customs authorities are not informed of the initiation of such proceedings within these periods, the goods shall be released. There is also a simplified procedure for the destruction of the detained goods if the holder of the goods has agreed to their destruction, or fails to notify his or her opposition within a period of 10 working days (or three working days in the case of perishable goods). Nowadays, trademark cases are rarely about trademarks only. By way of example, one may observe an uptick in parallel import cases, which deal with sector-specific regulatory issues in addition to more traditional questions about exhaustion of the trademark. The objective necessity requirement to allow repackaging by parallel importers has been interpreted strictly in recent cases, in which courts asked for concrete and unequivocal evidence showing the necessity. The Belgian Supreme Court accepted in its judgment of 7 November 2016 that the objective necessity may be proven by all means, inclusive of presumptions. A judgment of 27 April 2017 by the President of the Commercial Court in Brussels shows that lower courts are rigorous in their appreciation of the evidence submitted. Online infringement cases are commonplace. Courts do not hesitate to order cease-and-desist measures, coupled with penalties. Efficient measures such as the forced removal or transfer of a social media profile, or publication measures, have been ordered in recent cases. On 21 October 2016, the President of the Commercial Court in Brussels ordered an individual to cancel his SoundCloud and Twitter accounts under a penalty of up to €250,000. In March 2018, the Antwerp Court of Appeal ordered, as an ancillary measure, the publication, for a period of 30 days, of a text on a company's home page in a ribbon comprising at least a quarter of a web page, in which the company explained it had been infringing an earlier commercial name. The measure was ordered under a penalty of €50,000 per day. Best practices among online intermediaries and social media providers serve as an important filter and often prove to be useful in tackling counterfeit online. However, many self-regulatory initiatives are limited to outright infringement cases, where content is only removed or blocked if it is bluntly copying a well-known trademark. One may expect the fine-tuning of self-regulatory measures also to address cases of confusing similarity. Court action remains largely inefficient in addressing online counterfeit, in view of the costs and timing. We observe an approximation of the rules governing EU trademarks and those governing Benelux trademarks. Belgian courts have applied ECJ case law relating to EU trademarks to interpret similar concepts under the Benelux Convention on Intellectual Property. Nevertheless, important differences remain within Benelux between the competent courts in Belgium, the Netherlands and Luxembourg. The period within which a matter is handled also differs depending on the competent forum. These factors have a negative effect on legal certainty for trademark holders. Recent changes to the BCIP address the issue with respect to opposition proceedings, whereby the Benelux Court of Justice will be solely competent to rule on appeals. However, with respect to invalidity and revocation actions, national courts remain competent and divergences in case law between, on the one hand, the different national courts and, on the other, the national courts and the BOIP, may subsist. The protocol agreed in December 2017 between the Benelux Member States, which aims at transposing the latest EU trademark reform, does not address this issue. The protocol will, however, modernise and simplify procedures before the BOIP, ensuring, inter alia: that trademarks can be represented in ways other than only graphically; that the applicable goods and services are clearly and precisely determined for the relevant trademark; and that the grounds for nullity and revocation and their respective procedures are harmonised and extended. Other changes include the introduction of certification marks and the option to act against: (1) the use of a trademark in comparative advertising; (2) actions preparatory to an imminent infringement; and (3) counterfeit goods in transit. The new EU Trademark Directive 2015/2436 requires the ratification of the BCIP protocol by 14 January 2019. 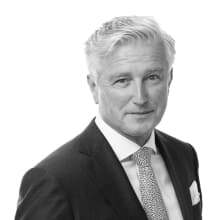 1 Flip Petillion is the founder and a partner, and Jan Janssen, Diégo Noesen and Alexander Heirwegh are associates at Petillion. 2 Uniform Domain-Name Dispute-Resolution Policy. See: https://www.icann.org/resources/pages/help/dndr/udrp-en. 3 Uniform Rapid Suspension. See: https://newgtlds.icann.org/en/applicants/urs. 4 In December 2017, the Benelux Member States agreed to modify the BCIP to implement EU Directive 2015/2436. Sounds are now expressly mentioned as signs that can be protected as a Benelux trademark. The amending BCIP Protocol has yet to enter into force. The Benelux Member States must implement EU Directive 2015/2436 by 14 January 2019. 5 In the upcoming BCIP amendment, a clear distinction will be made between 'collective marks', which are defined as 'marks capable of distinguishing the goods or services of the members of an association which is the proprietor of the marks from the goods or services of other undertakings', and 'guarantee or certification marks', which are defined as 'marks capable of distinguishing goods or services which are certified by the proprietor of the marks in respect of material, mode of manufacture of goods or performance of services, quality, accuracy or other characteristics, from goods and services which are not so certified'. 6 Only the Benelux Court of Justice is competent to rule on appeals against BOIP opposition decisions rendered as of 1 June 2018. BOIP opposition decisions rendered before that date had to be appealed to the Brussels Court of Appeal, The Hague Court of Appeal or the Luxembourg Court of Appeal. 7 Similarly to administrative procedures before the EUIPO for EU trademarks, since 1 June 2018 the revocation or invalidation of a trademark in an administrative procedure can be brought before the BOIP. Previously, prior rights holders could only initiate procedures before the competent national courts. 8 C-57/15, 28 July 2016. 2018 has been a watershed year for the privacy field. The European Union’s General Data Protection Regulation (GDPR) has been the main attraction. Companies subject to the GDPR have expended and will continue to expend enormous efforts and funds to understand and diagram their data-processing operations. Now that the GDPR has gone live, as of 25 May 2018, it remains to be seen how the Member State data protection authorities will deploy their significant new penalty authority to enforce substantially more stringent standards. Will US tech companies continue to bear the brunt of EU enforcement wrath, or will the DPAs scrutinise inwards as well? Consumer choice for financial products and services is proliferating across global markets. The ability to reach consumers at any time on their mobile phones, tablets or other devices has helped attract substantial capital investment in consumer financial services. This survey of consumer finance law describes the legal and regulatory approaches taken in the jurisdictions covered. Each chapter addresses the key characteristics of, and current climate within, a particular jurisdiction. Although payments, lending and deposits are the focus of this survey, other financial products and services are discussed where relevant. The Life Sciences Law Review provides an overview of legal requirements of interest to pharmaceutical, biotechnology and medical device companies. It is vitally important that lawyers who advise companies in the life sciences sector and the business executives whom they serve have a working knowledge of the regulations and policies that govern drugs, biologics and medical devices. It is equally important to keep up to date with developments in the regulatory systems, which govern access to the market, pricing and reimbursement, advertising and promotion, and numerous other matters that are essential to success. It is our hope that this annual publication will be helpful in this respect. This book provides an introduction to the basic elements of international franchising and an overview of the way that it is regulated in 37 jurisdictions. It seeks to provide the reader with a high-level understanding of the challenges involved in international franchising in the first section, and then, in the second section, explains how these basic themes are reflected in the regulatory environment within each of the countries covered. The Patent Litigation Law Review does not only summarise patent litigation procedures. The respective contributors to it, as leading practitioners in each of their jurisdictions, also focus on recent developments in substantive patent law as demonstrated by the most important recent court decisions in their respective jurisdictions, meaning that this Review also provides insight into the current controversies that affect patent law generally. This first edition of The Financial Technology Law Review is published at a time when most players in the finance sector are concerned about the new developments that information technology (IT), big data and artificial intelligence (AI). Hence, it is often forgotten that the use of IT in the finance sector is not new and that many applications that would come under fintech are already quite old, at least by today’s standards. To aid practitioners who are navigating this ever-changing landscape of global intellectual property, we now present the seventh edition of The Intellectual Property Review.